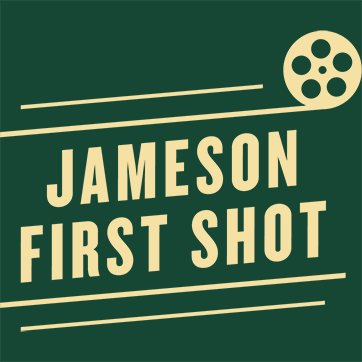 In an industry that is notoriously hard to break into, Jameson First Shot provides a life-changing opportunity for aspiring filmmakers. Every year, three talented writer/directors are given a career-defining platform to tell their story. This year, the net has been cast far and wide in search of fresh and fearless filmmaking talent, and the winners have been decided; Mark Middlewick from South Africa, Travis Calvert from the US, and Stephan Tempier from Canada. They will get the chance to bring their scripts to life in a short film with the help of Kevin Spacey and the whole Trigger Street team, and starring Oscar Award Winning actor Adrien Brody. Not to mention a director’s chair with their name on it. From the moment they received the good news in an unforgettable Skype call from Kevin Spacey their lives and careers have been forever changed. The winners fought off stiff competition from over 1,700 entrants, from eight countries, and will now join Kevin and Adrien on set, in Los Angeles, California. Stephan Tempier is a French born, Canadian film lover who epitomises the spirit of Jameson First Shot. With little training or experience in the film industry, Stephan’s entry “Boredom” was his first entry into any filmmaking competition. His First Shot tells the story of a man who sees things through a kid’s eyes, seeing interesting things in everyday life that other people wouldn’t even notice. Mark Middlewick is a South African part-time writer and director, who fuels his passion for film by freelancing as researcher and a copywriter. His film “Mascot” tells the story of a seemingly mundane, normal man, who has an alter ego as an exuberant mascot for a basketball team. Travis Calvert is an aspiring filmmaker from Reno, Nevada in the US. He believes that the ability to see things from different perspectives is key to being a good storyteller, and hopes to draw on his many life experiences with his First Shot. Travis’s script “The Library Book” is the story of encounter between a librarian and a man with an overdue book, that has an unexpected outcome. With all three finalists practicing their autographs en route to Hollywood, it’s lights, camera, action time for Jameson First Shot 2015. Stephan, Mark and Travis are deserved winners of Jameson First Shot 2015, but the overall standard of entrant this year was above and beyond all expectations. Trigger Street Productions, who deal with professional scriptwriters on a daily basis were impressed with the quality of this year’s batch. The three winners were selected from a shortlist of very talented filmmakers, who also deserve a mention. Jameson and Trigger Street Productions would like to thank all of this years entrants, and would like to encourage unsuccessful candidates to enter again next year, with new scripts for a new Hollywood star.